Sebaceous gland carcinoma: Can we do better? 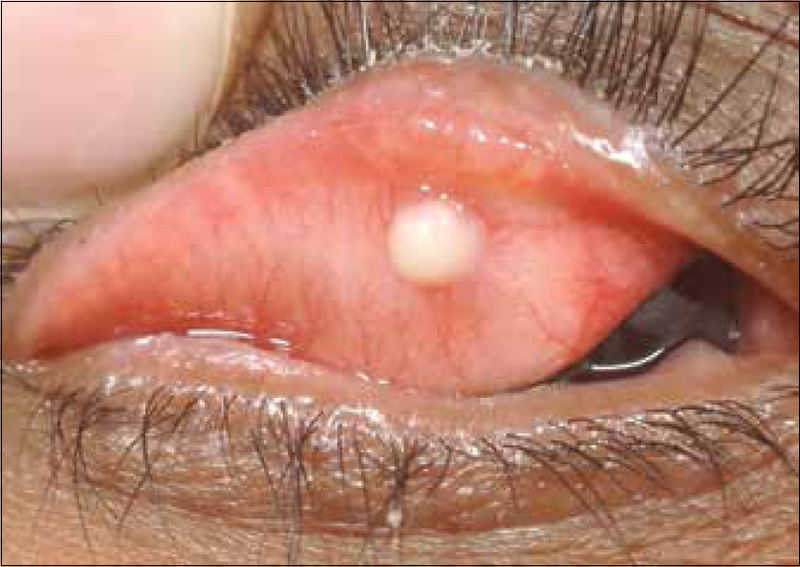 Sebaceous gland carcinoma (SGCa) is the most common eyelid malignancy in India. Yet, it is widely misdiagnosed and mismanaged. Delayed diagnosis and inappropriate treatment, coupled with the inherent aggressive behavior of the tumor, result in an unacceptably high incidence of local recurrence, regional lymph node metastasis, systemic metastasis, and death., In an era of advanced imaging, precise microsurgery, powerful chemotherapeutic protocols, and stereotactic radiotherapy, steered by well-trained ocular oncologists and ophthalmic oncopathologists, we can certainly do better. Over 50% of patients with nodular SGCa simulate a chalazion and those with intraepithelial (pagetoid) SGCa masquerade as unilateral blepharoconjunctivitis. General ophthalmologists, being the primary point of contact, must be well aware of the clinical signs of SGCa and the red flags that tip the diagnosis. Apart from an obvious eyelid nodule extending beyond the upper edge of the tarsus (unlike a chalazion, which is limited to the tarsus), the nodular type of SGCa typically manifests with loss of eyelashes in the involved area, loss or obliteration of Meibomian gland More Details orifices, widening of the eyelid margin, abnormal vascularity of the eyelid margin, and alteration in the sharp anatomy of the posterior eyelid margin (rounding) as shown in [Figure 1]. Intraepithelial SGCa may or may not have an evident nodular lesion. In addition to the eyelid margin and tarsal features seen in nodular SGCa, intraepithelial SGCa is characterized by diffuse congestion and thickening of the palpebral and bulbar conjunctiva, conjunctivalization of the cornea, and thick ropy discharge [Figure 2]. Meticulous attention to details and elaborate examination with a slit lamp are important to elicit some of these features. Atypical age (>40 years) for a chalazion and quick recurrence following curettage, along with any of the accompanying features listed above, warrants a high index of suspicion and referral to an expert for a protocol-based management. Any elderly patient with unilateral chronic blepharoconjunctivitis for which there is no evident cause and that does not respond to conventional treatment in a finite period also qualifies for an expert evaluation for possible map biopsy (biopsy from 17 predetermined conjunctival locations to diagnose and to meticulously determine the extent) and further management as appropriate. Close follow-up. Local tumor recurrence can be a delayed manifestation and can be even in a new location (SGCa being multicentric) or in the form of intraepithelial disease. The role of strict follow-up with a keen eye for local tumor recurrence and regional lymph node metastasis cannot be overemphasized. The patient should be seen every 3 months for a year, every 6 months for 3 years, and every year thereafter. SGCa is clearly not a tumor that a general ophthalmologist or an occasional oculoplastic surgeon may be able to comprehensively manage. A general ophthalmologist should be aware of the clinical manifestations of SGCa and be able to triage a suspected case quickly to an appropriate specialist. SGCa is ideally managed strictly by the protocol by a trained oculoplasty surgeon with special interest in and understanding of ocular oncology or by an ocular oncologist. Optimal combination of clinical and surgical skills, guided by sound oncological principles, could provide the best chance for local and regional tumor control and minimize metastasis and death in SGCa. Sihota R, Tandon K, Betharia SM, Arora R. Malignant eyelid tumors in an Indian population. Arch Ophthalmol 1996;114:108-9. Shields JA, Demirci H, Marr BP, Eagle RC Jr., Shields CL. Sebaceous carcinoma of the ocular region: A review. Surv Ophthalmol 2005;50:103-22. Rao NA, Hidayat AA, McLean IW, Zimmerman LE. Sebaceous carcinomas of the ocular adnexa: A clinicopathologic study of 104 cases, with five-year follow-up data. Hum Pathol 1982;13:113-22. Wali UK, Al-Mujaini A. Sebaceous gland carcinoma of the eyelid. Oman J Ophthalmol 2010;3:117-21. Goldberg RA. Oculoplastic surgeons think mechanically. Arch Ophthalmol 2001;119:756-7. Lally SE, Rao R, Shields JA, Shields CL. Comparison of posterior lamellar resection versus lumpectomy for initial management of localized tarsal conjunctival sebaceous carcinoma in 54 cases. Indian J Ophthalmol 2018;66:1295-300. Kaliki S, Ayyar A, Dave TV, Ali MJ, Mishra DK, Naik MN, et al. Sebaceous gland carcinoma of the eyelid: Clinicopathological features and outcome in Asian Indians. Eye (Lond) 2015;29:958-63. Murthy R, Honavar SG, Burman S, Vemuganti GK, Naik MN, Reddy VA, et al. Neoadjuvant chemotherapy in the management of sebaceous gland carcinoma of the eyelid with regional lymph node metastasis. Ophthalmic Plast Reconstr Surg 2005;21:307-9. Esmaeli B, Nasser QJ, Cruz H, Fellman M, Warneke CL, Ivan D, et al. American joint committee on cancer T category for eyelid sebaceous carcinoma correlates with nodal metastasis and survival. Ophthalmology 2012;119:1078-82. Shields JA, Demirci H, Marr BP, Eagle RC Jr., Shields CL. 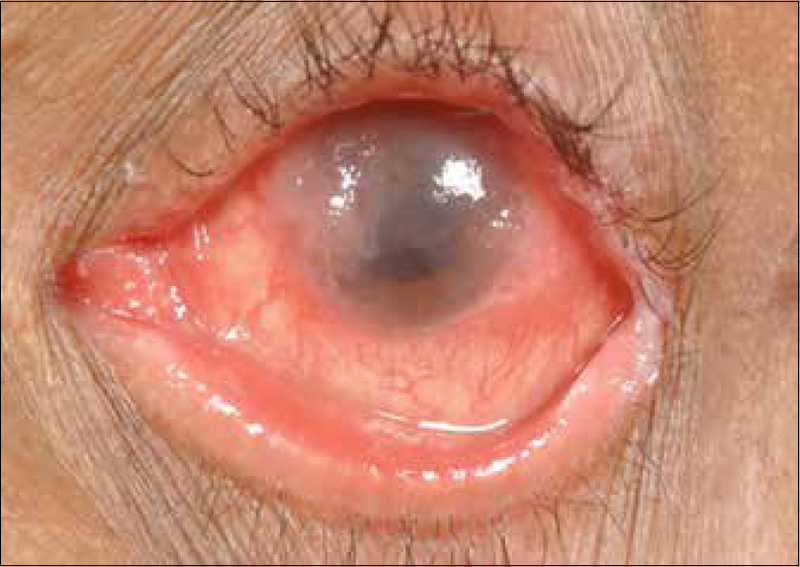 Sebaceous carcinoma of the eyelids: Personal experience with 60 cases. Ophthalmology 2004;111:2151-7.